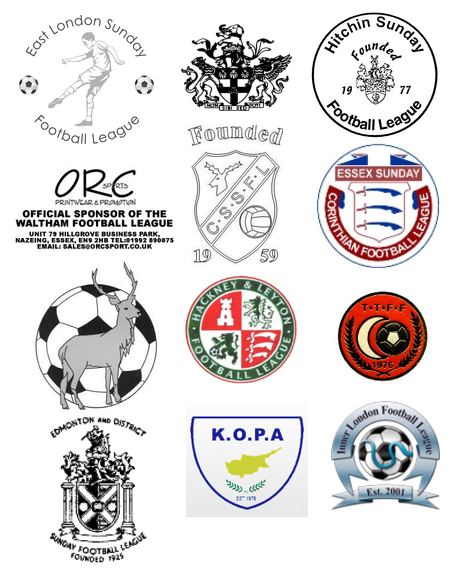 Welcome to a new feature on The Cold End where each Friday we'll pick three matches of interest from the various Sunday Leagues across London and Hertfordshire which will hopefully raise the profile of the real grass roots game in the area. There are numerous leagues so wherever you are there will be a game taking place close by. The Crusaders of the Orc Sports Mercury Waltham Premier Division warmed up for their big Cup match with a 5-2 defeat at Cuffley last Sunday. Their visitors make the long trip form South to North having started their Metropolitan Sunday League campaign with a 2-4 win against Loughborough and a 2-2 draw versus Charlton Rangers. You can never guarantee goals in a game but the fact Bully's two games so far have finished 4-4 and 4-6 coupled with Slim's being 1-6 and 3-4 you can expect some goal-mouth action in this game. Just the two team names gives an indication this could be a Sunday League classic! VENUE - WHITTINGTON PARK, HOLLOWAY. Top v bottom in the Kopa league Premier Division. Tripimeni who have two victories so far (3-1 and 6-2) face Aradippou who have suffered two defeats (3-0 and 5-0). Will it be one way traffic and a big victory for FC Tripimeni or can Aradippou spring a surprise?